We all know very well that smartphone manufacturers continue to do their research simply to hunt down the new and extraordinary features to highlight their upcoming smartphones, such as removing the notch or adding more cameras. Hence, now according to the latest reports, a well-known smartphone manufacturer just teased the world’s first smartphone with 16 rear cameras. Smartphone manufacturers continue to do their research simply to hunt down the new and extraordinary features to highlight their upcoming smartphones, such as removing the notch or adding more cameras. 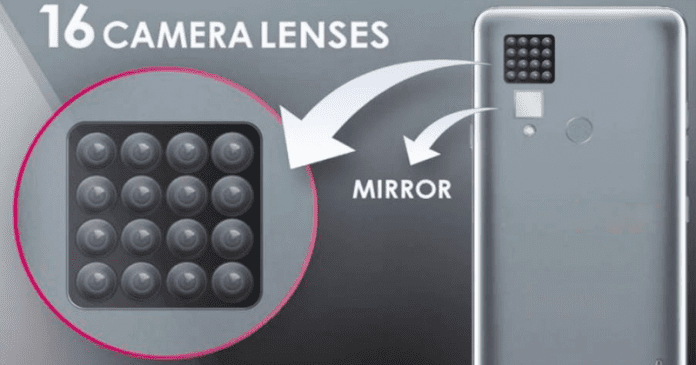 It seems that 2019 will be the year of smartphones with triple selfies camera, it is even rumored that the Samsung Galaxy S10 will have 6 cameras. However, now according to the latest reports, something extraordinary and unexpected thing has come to light and it is from none other than the well-known South Korean giant LG who has recently patented a brand new smartphone with 16 rear cameras. As picked up from LetsGoDigital, an image of an LG patent shows a future smartphone with up to 16 rear cameras. Not three, not four, not six, it’s 16, Yes, it is really a crazy step that was taken by the well-known South Korean giant LG which will simply revolutionize the smartphone market. 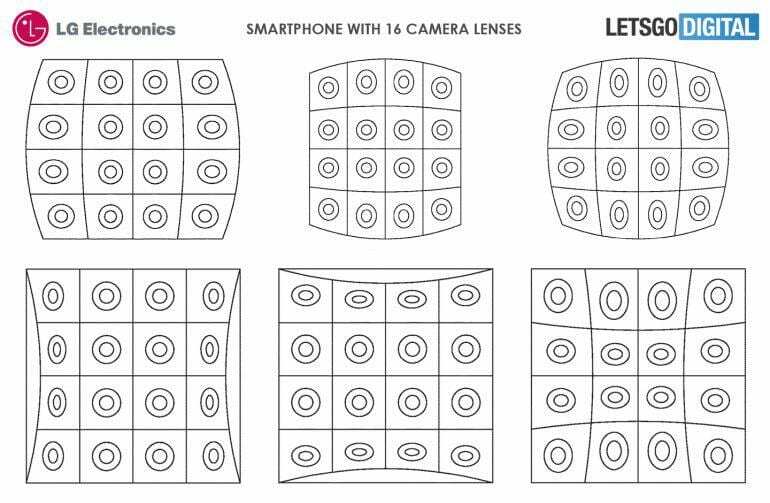 As the well-known South Korean giant LG would be already working on its next smartphone that would stand out for its 16 rear photo cameras that would be placed in a square format, configured by four rows with four sensors each. Moreover, this new patent of the South Korean giant LG simply shows a totally unusual feature so far in the smartphone market, as we told earlier. As for many users, five cameras already seem a lot, so these 16 rear cameras simply represent a further step by the South Korean giant LG. 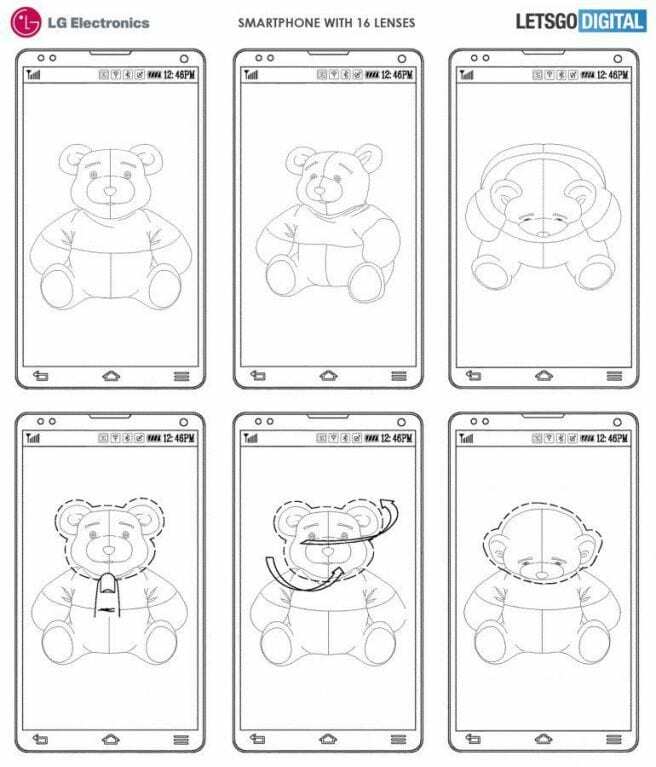 As it can be seen clearly in the image below of the patent, which shows a teddy bear seen from different perspectives, this large number of rear cameras will have a new function, and they will be able to move and alter their angle of vision to be able to capture images from different perspectives. The cameras could also be moved to create geometric shapes capable of capturing images from different angles without the need for the subject to move. The curvature of the rear cameras would simply allow users to take amazing photographs and give a different use to the camera. At the moment it is only a patent, so it is not known if the South Korean giant LG will end up launching a smartphone with this unique and extraordinary feature, of course, I am talking about the 16 cameras. The idea of the company, of course, the South Korean giant LG is not to get high attention by simply increasing the camera sensors, as they want to give them a usefulness as well. So, what do you think about this? Simply share all your views and thoughts in the comment section below.